In our western countries, each of us consumes 25 times more energy and resources than one person in a developing country. I like to play with the double meaning of the verb “to consume”. To consume means to buy a certain economical good but also it has the negative connotation of using something till it is destroyed. When you turn on this candle, you have a perception of the fact that consuming 25 times as much, also means to consume 25 times as fast. 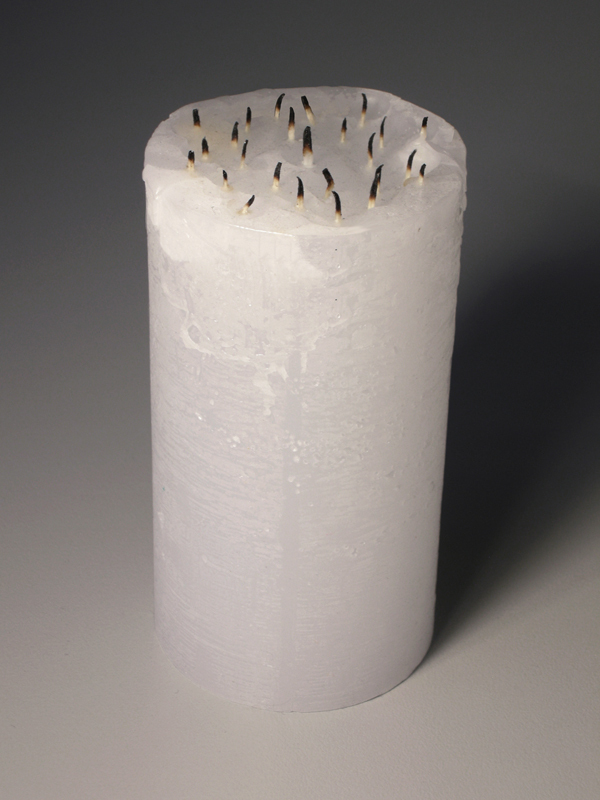 The candle was exhibited at the Sandberg Institute in Amsterdam, in 2007.